On Sale £19.95 - all incl (No hidden extras). 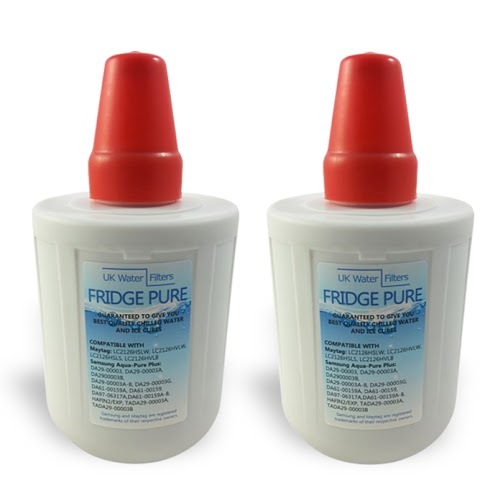 The cartridge you can get here will replace the great majority of internal Samsung fridge filters, i.e. where the filter is fitted inside the fridge compartment. (There is an - occasional - exception the DA290003G Please click here to read more). 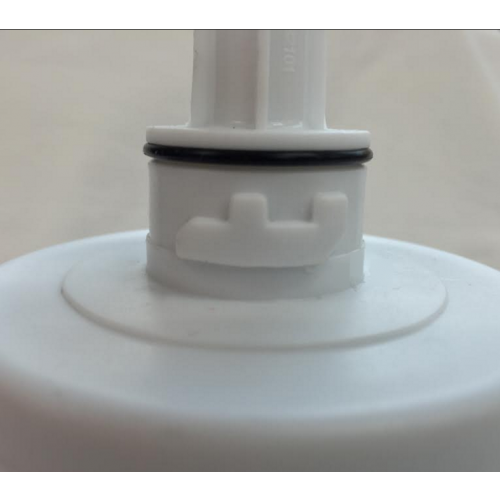 See if your current Fridge filter is compatible in the technical section - see below. 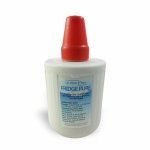 Removes: Chlorine, Sediment, Nitrates, Turbidity, Benzene, radon, solvents, trihalomethane compounds, volatile organic chemicals such as pesticides and herbicides. Plus greatly improves taste and odour. 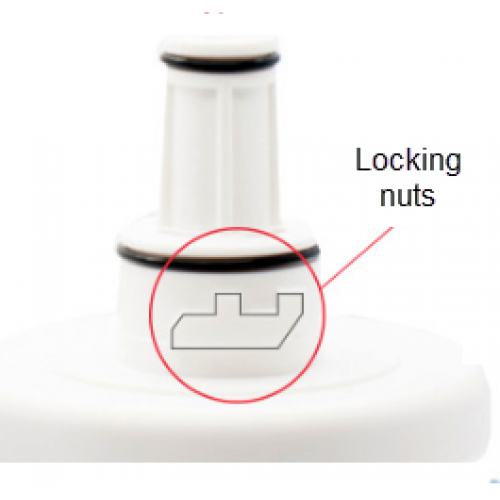 Includes an accompanying silicone lubricant to ensure a truly leak-free seal! This is a new, original filter direct from the factory. 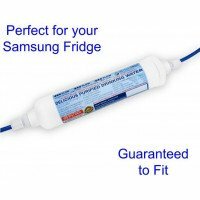 This replacement water filter for the Samsung Aqua Pure DA29-00003B must be changed every 6 months regardless of the amount of water consumed - or if the fridge has been unused for more than two weeks. This is because bacteria can grow inside the filter. So once "wet" it needs to be changed after 6 months. Please note: If your fridge model number is not listed above, yet your Samsung fridge has an internal water filter - i.e. it sits INSIDE the fridge - then this filter will be compatible. Contact us if you want to make sure. Plus we have a Money Back Guarantee if the filter isn't right - or you wish to return it for any reason. I am very pleased to have found your website - the reminders are wonderful, and your prices are very competitive, so I am very happy to re-order my replacement filters from you. I am very happy that you offer free delivery too! This was cheapest deal online that I found, and the service excellent with very fast delivery. In particular I liked the ecological packaging in cardboard instead of plastic. I'm glad to support a company like this and will reorder when it is due a change again. Excellent service always, I’ve got my water filters for my American style Samsung from here for some time now, always reliable quick delivery well packaged. Sadly my Samsung’s water/ice maker is broken, but Harry on Customer service has been so helpful in trying to sort it out for me I’m so impressed with the trouble he’s taken, nice to find a company with a caring customer service. 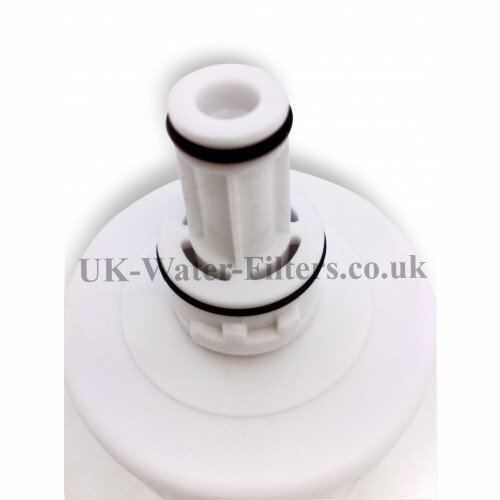 I would always buy from UK water filters and thoroughly recommend them. competitive price. Needless to say I shall be reordering in six months time. First rate delivery,product and price plus a follow up to check satisfaction!! A great company to deal with.Highly recommended .. I am very impressed with the customer service from UK Water Filters. After initially ordering mine, it arrived promptly but unfortunately it didn't fit properly. After contacting them they immediately got back to me to try to sort the problem. They were extremely helpful and went that extra mile to get me the correct filter. It arrived today, fitted beautifully so I can now enjoy my filtered water. I would have no hesitation in recommending them. It's good to know a company who does indeed live up to their promises. I will certainly be using them again. Shopped around and found UK Water Filters offered best value for money. 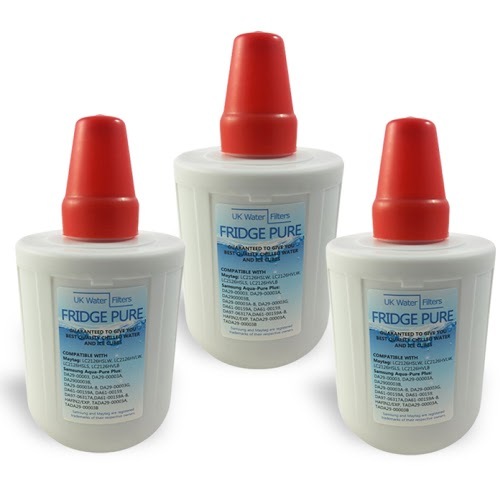 The fridge filter I ordered is a pattern part, but is good quality, less than half the price of the genuine item, and as far as my family and I are concerned the water tastes just as good. Also the communication from the company was very good and they pointed out to me from a safety aspect that a leak safety protector would be advisable. Now I have to say they have made a valid point, if the plastic water pipe that feeds the fridge bursts, I will have a possible flood situation on my hands, so I have ordered the leak protector and many thanks for bringing my attention to it. So based on my experience with UK Water Filters I can highly recommend them. Great price and free delivery came out of the box and was fitted in and working in less than a minute. The filter we ordered was delivered very quickly and was easy to fit. It was a high quality item and delivers very good qualiy water from the fridge. I ordered filter from this company and I get a quick and very good service. They delivered very fast. First time I have used UK Water Filters. The items I ordered were tracked easy and arrived as planned. The good filters I easily installed and are working perfectly. Yes the filter arrived ok and I have just fitted it. It works fine thank you very much. Excellent service. Will order another in six months time. Arrived promptly and fitted very easily. My sister-in-law bought a Samsng fridge/freezer 2 months after I did so your website details have already been forwarded to her with a glowing recommendation.